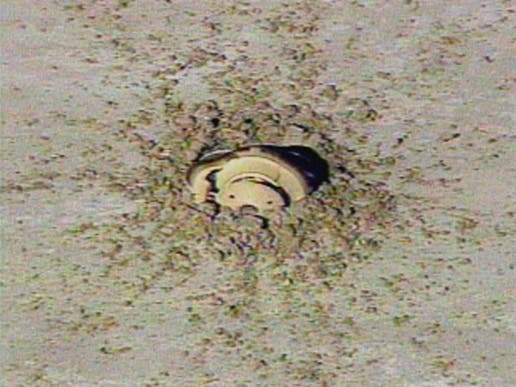 In 2004, the NASA probe's parachute malfunctioned and it crash-landed in Utah. The probe was sent about 900,000 miles from Earth to collect bits of solar wind and return them for study – some samples were salvaged. A whole yeast (Saccharomyces cerevisiae) cell viewed by X-ray microscopy. Inside, the nucleus and a large vacuole (red) are visible (credit: NIH). Researchers at MIT have discovered a gene called NDT80 that can double yeast lifespan when turned on late in life.The gene is activated when yeast cell rejuvenation occurs. When they turned on this gene in aged cells that were not reproducing, the cells lived twice as long as normal.The MIT team found that the signs of cellular aging disappear at the very end of meiosis (which produces spores). “There’s a true rejuvenation going on,” said professor Angelika Amon. Genome Wowser provides an iPad-enabled view of the human genome, according to iFreeware . The app provides a functional presentation of the popular University of California, Santa Cruz (UCSC) Genome Browser that is intuitive, highly portable, and allows a “Google Maps”-like navigation experience. Users can view genomic annotation tracks; zoom in, out, and across a chromosome; search for genomic elements; and download displayed data of interest.